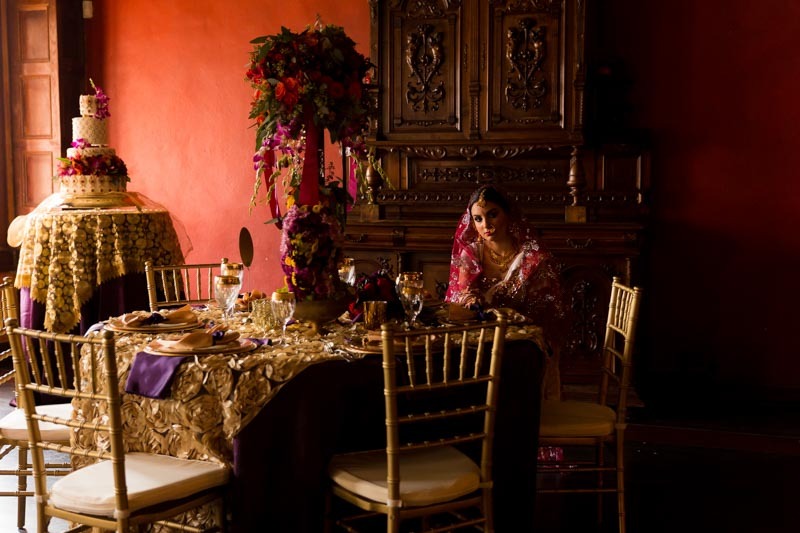 Submitted by Modern Chic and Shabby Events by Annie: This inspiration shoot, designed by Annie Muniz of Modern Chic & Shabby Events by Annie, was inspired to show a more Modern South Asian Bride. 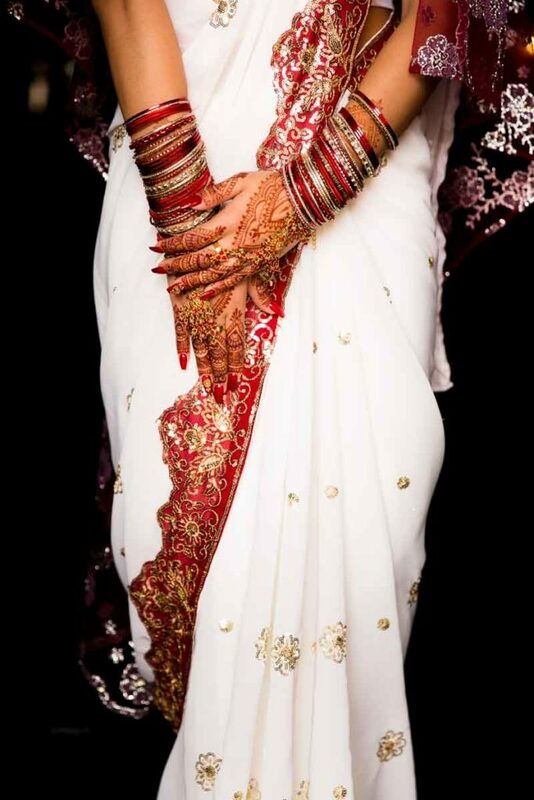 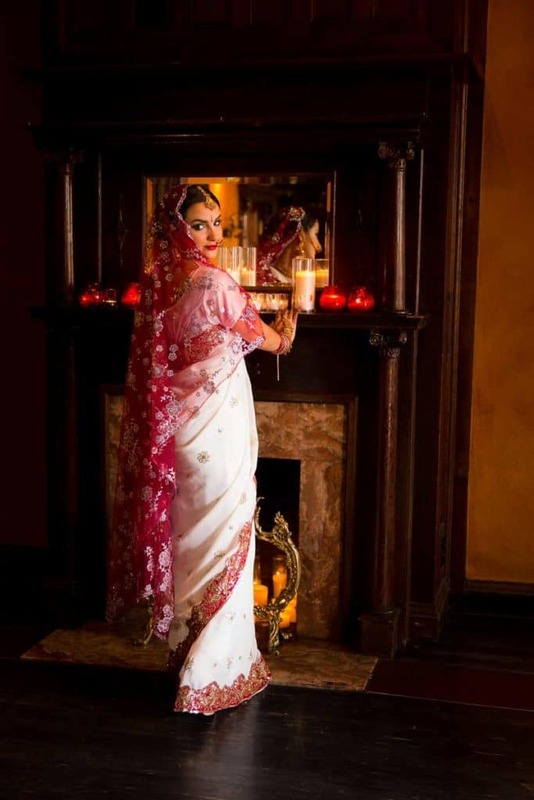 Here in this style shoot we are highlighting her garment (Saree and jewels) Red, White and Gold. 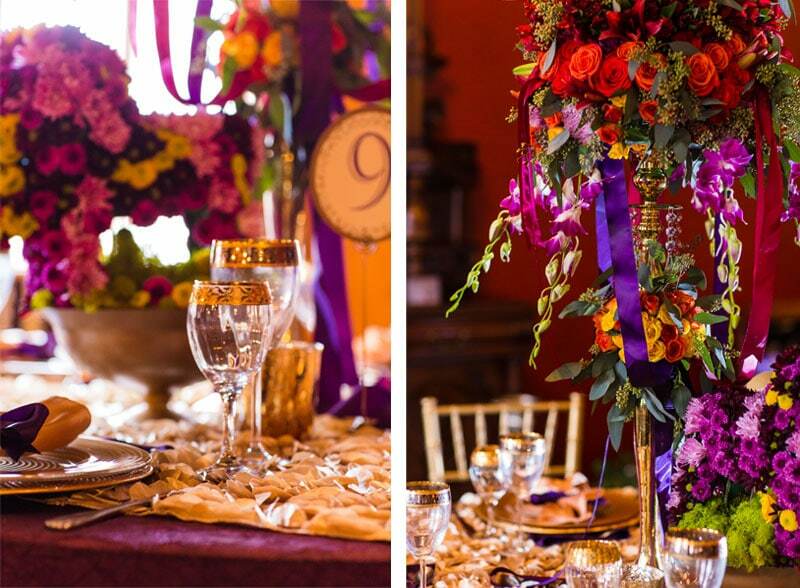 Photographer Jose Nordase of JF Nordase Photography captures the colors and richness of all the elements of décor and details. 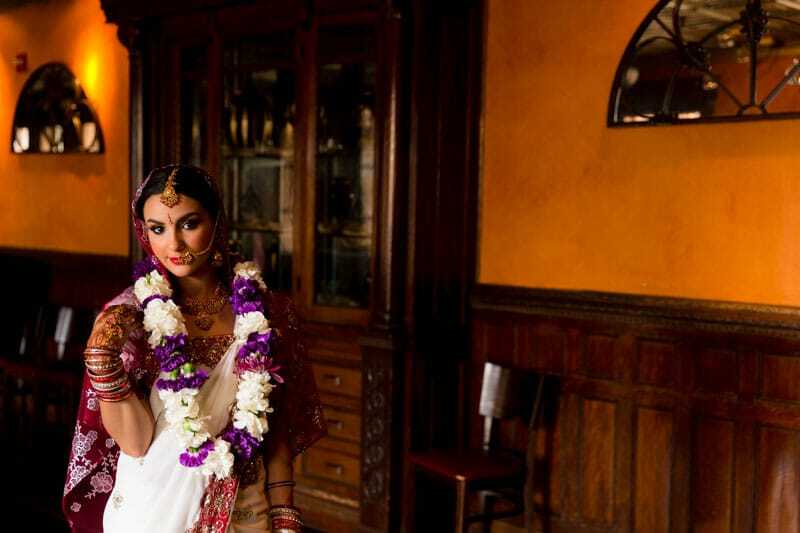 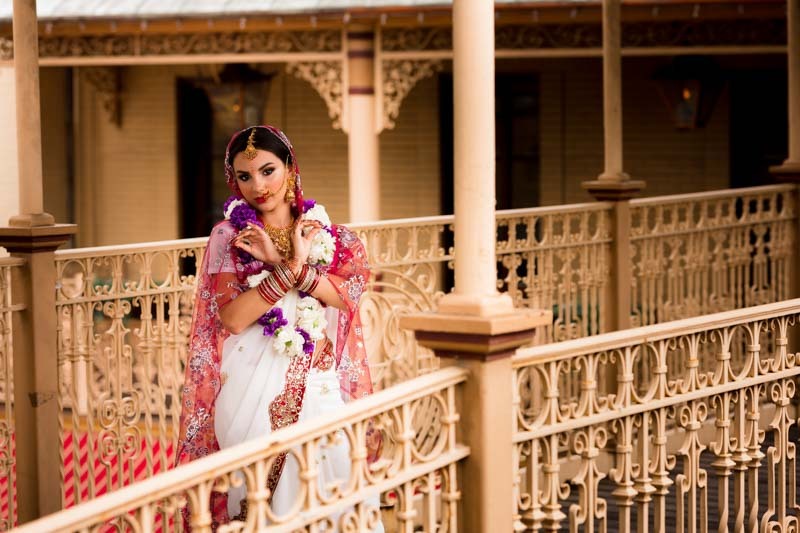 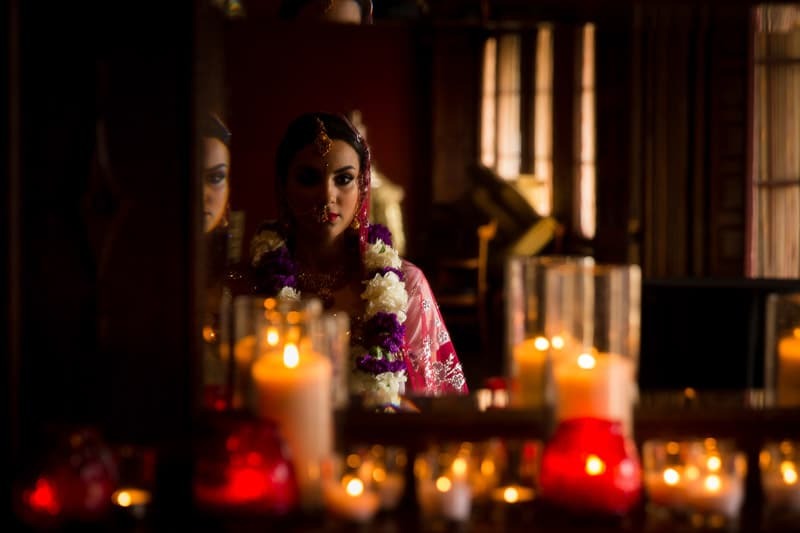 Makeup artist Laura Reynolds of Laura Reynolds Artistry Hair and Makeup was able to capture and create a South Asian Bridal look on the Model Alicia Gomez. 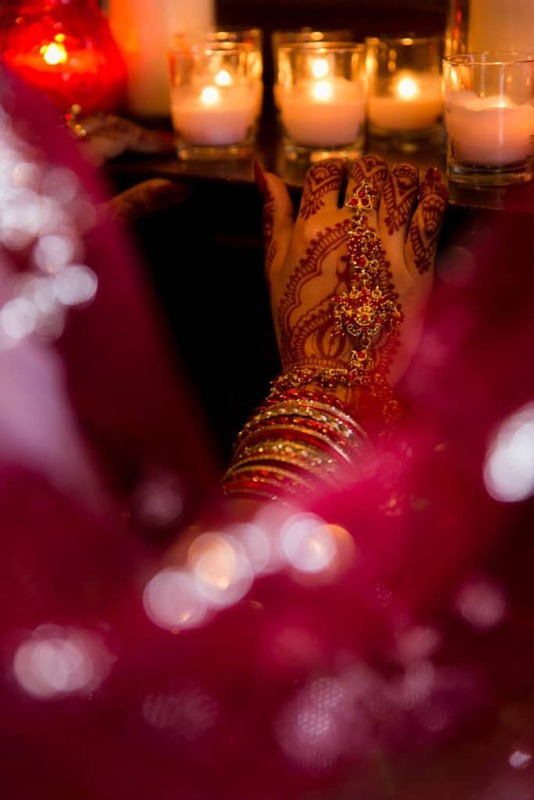 Henna Artist and Stylist, Salma Islam was able to adorn her with her jewelry, Saree, and Henna Art. 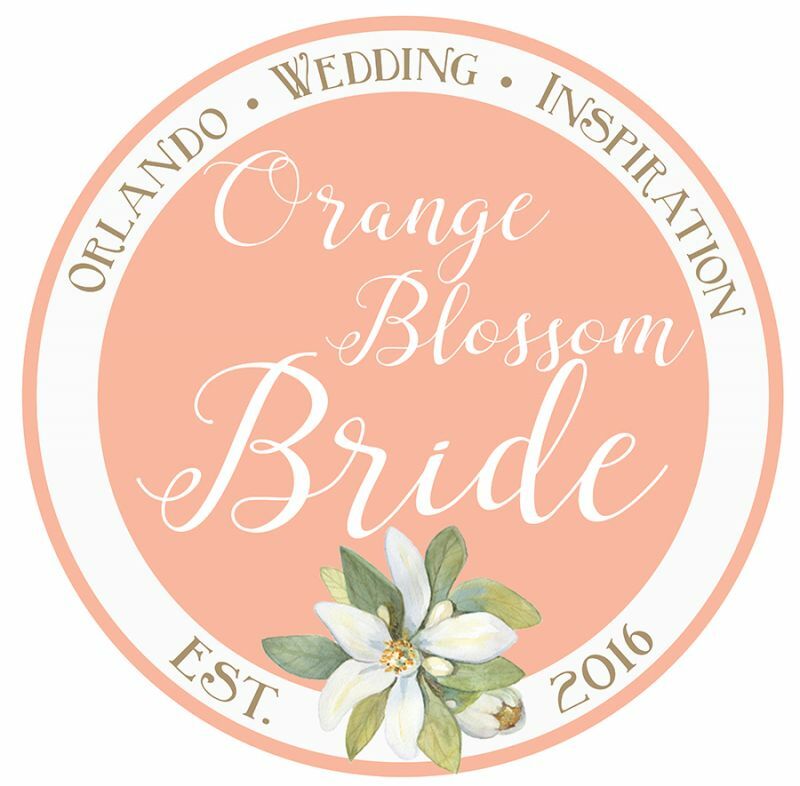 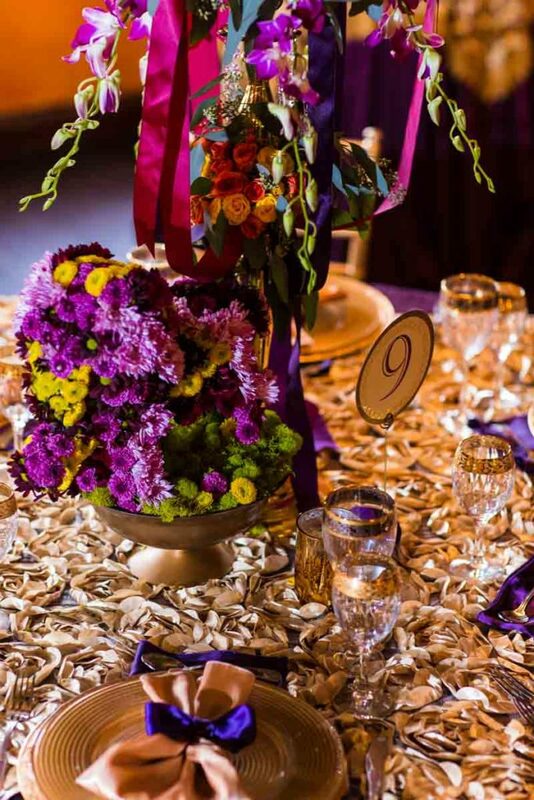 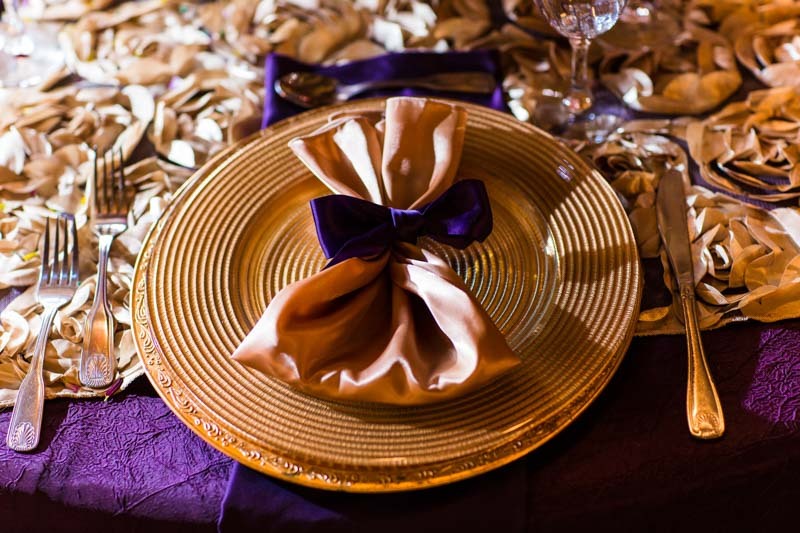 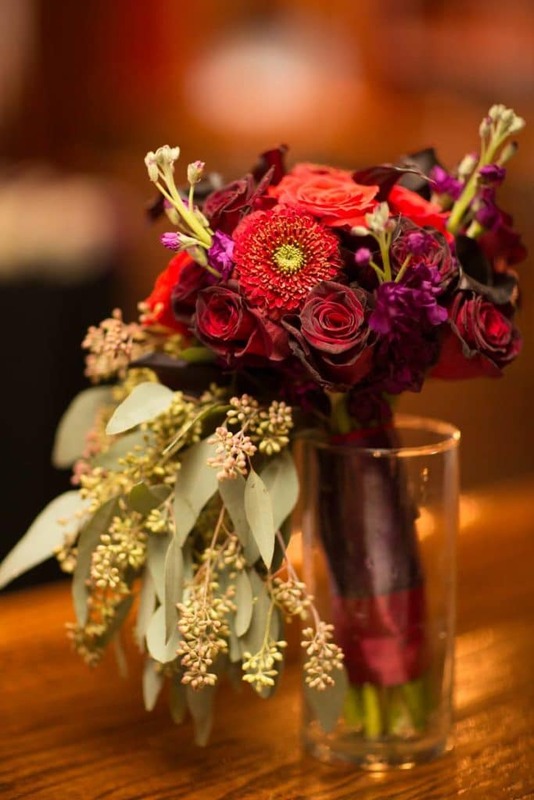 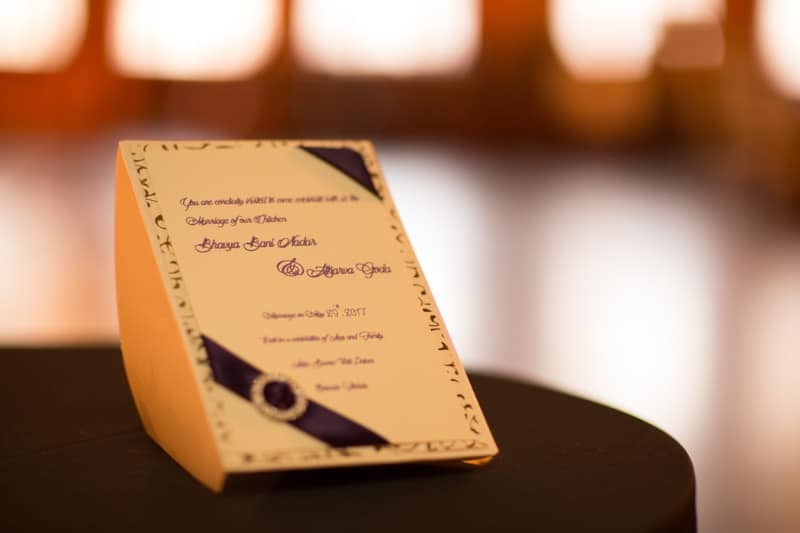 Floral Designer Kelly Dixon of Union Bloom designed the amazing Center piece, garland and bridal bouquet in rich deep purples, oranges, and red colored flowers. 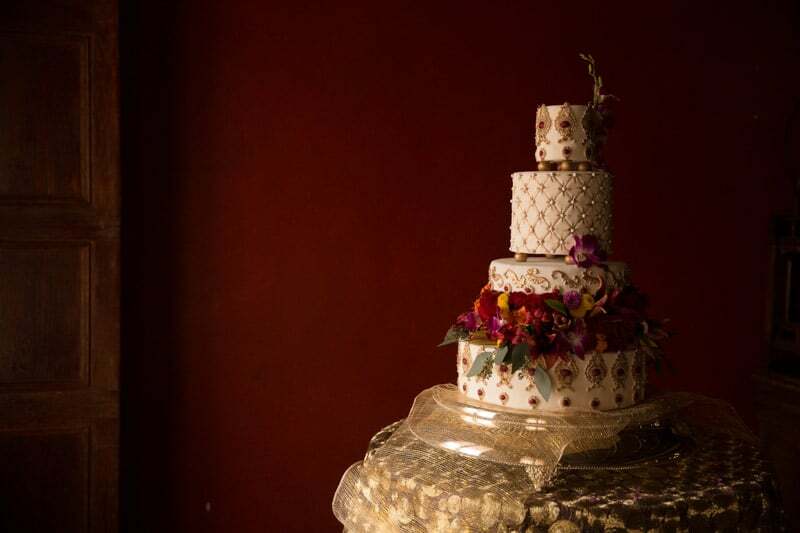 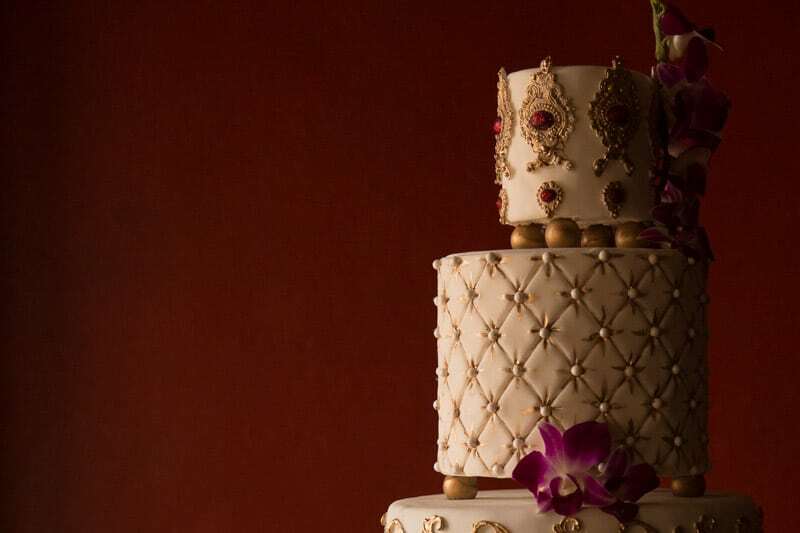 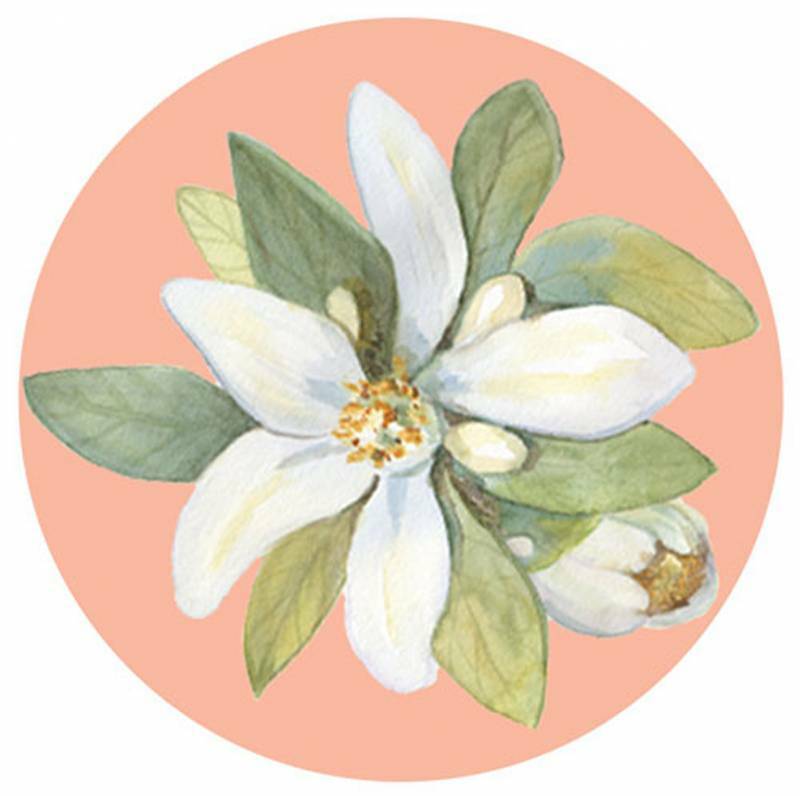 Cake Artist Michelle Crawford of Bakers Cottage Cakes created an amazing wedding cake, which included very elaborate beautifully decorated edible gems and flowers. 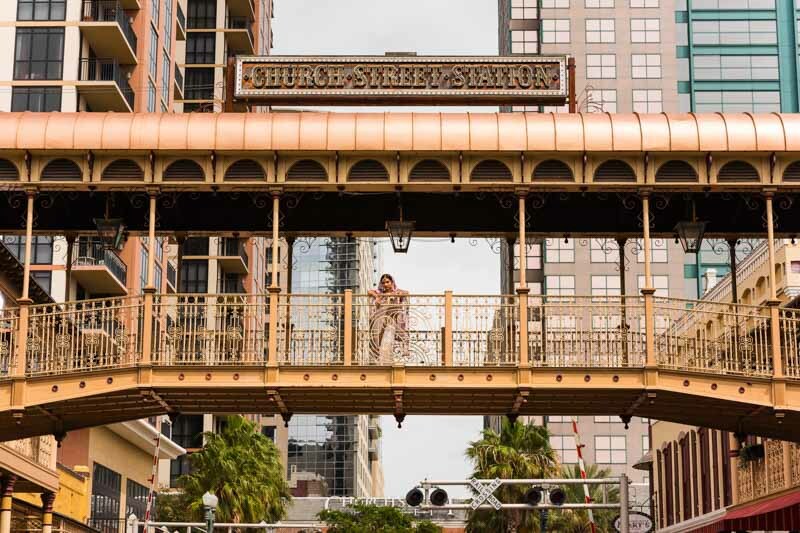 The venue, Ceviches Tapas Bar and Restaurant in Orlando, Florida, has a beautiful back drop and amazing rich colored walls and structures. 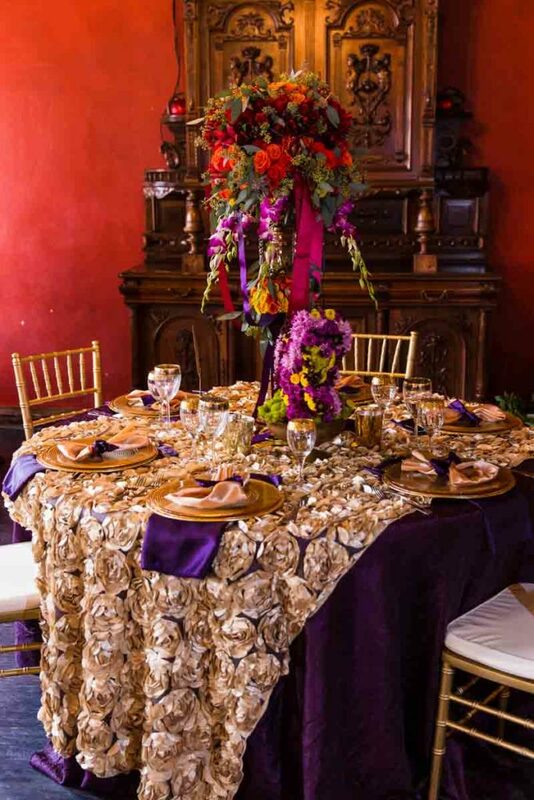 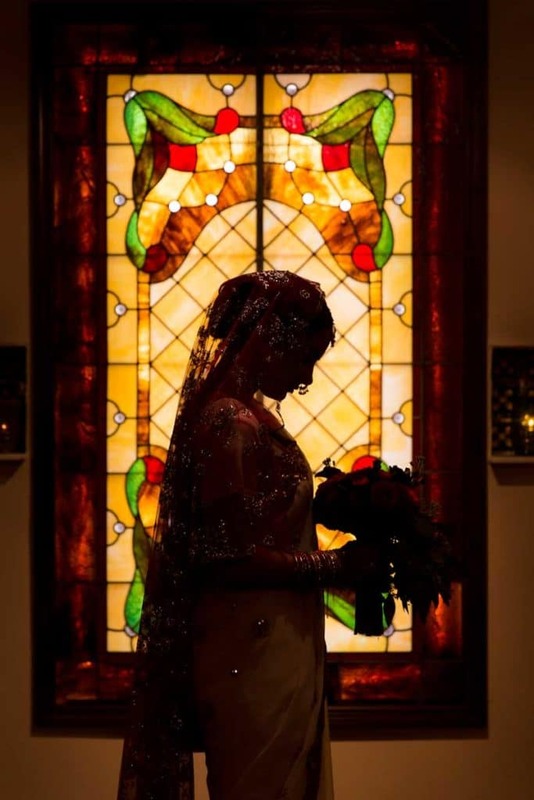 The beautiful stain glass windows, the amazing mantels, and staircase featured are only a few places that were photographed in this gorgeous venue.